SALISBURY, N.C., Oct. 23, 2017 /PRNewswire/ -- Integro Technologies (www.integro-tech.com), a premier machine vision integrator, today announced it has become a SICK Authorized Vision Integration partner serving the United States. 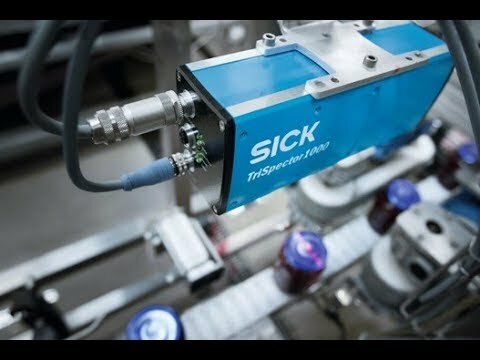 SICK is one of the world's leading manufacturers of automation products and systems for logistics, factory, and process automation. Among its many solutions is a large portfolio of 2D and 3D machine vision products, including easy-to-use vision sensors and powerful vision systems, resulting in products manufactured to the highest quality. SICK vision solutions are used for quality inspection, robot guidance, measurement and code reading applications and partners with qualified integration companies to better serve its customers. As a SICK Authorized Vision Integration Partner, Integro Technologies staff is trained on SICK AppSpace, SICK's open platform for programmable vision solutions and sensors. It enables multiple technologies to be combined to create solutions for customers that are fully integrated into the manufacturing line and meet the challenges of Industry 4.0. "SICK's broad range of vision solutions, including its pioneering super high-speed 3D cameras, is designed for advanced applications and tough industrial environments. This strategic partnership will provide Integro with growth opportunities beyond machine vision and ID solutions that will supplement our existing value-add engineering services in a variety of industries worldwide in Factory Automation," said Shawn Campion, President and CEO of Integro Technologies. "Integro's Vision+™ services will be enhanced by a single source instrumentation provider with integrated Industry 4.0 architectures for operations, process control, data collection, and user access from multiple personal devices including PC, Tablet, and PDA." "SICK is very excited about our shared pursuit to tackle customers' vision system needs. Integro's experience as a premier vision integrator combined with their engineering capabilities and robotics expertise will provide significant value for customers," commented Tony Peet, CEO of SICK, Inc. The cooperative partnership with SICK, Inc. broadens Integro Technologies' systems portfolio, resulting in reliable, innovative, automatic inspection applications for their customers. Integro Technologies is a leader in machine vision integration in North America. With over 2,000 installations and more than 700 clients worldwide, Integro Technologies is an innovator in machine vision and system integration providing turnkey solutions, consulting, and support services for a wide range of industries. Integro Technologies has been named the 2017 System Integrator of the Year by Control Engineering and Plant Engineering magazines, a System Integrator Giant for five consecutive years, and a 2016 and 2017 Inc 5000 company. For more information about Integro Technologies, visit their website at www.integro-tech.com. SICK is one of the world's leading manufacturers of sensors, safety systems, machine vision, encoders and automatic identification products for industrial applications. With more than 1000 patents, SICK continues to lead the industry in new product innovations. The diversity of its product line allows SICK to offer solutions at every phase of production in the logistics, automotive, packaging, electronics, food and beverage, and material handling markets. SICK AG was founded in 1946 and has operations or representation in 65 countries worldwide.www.sick.com.